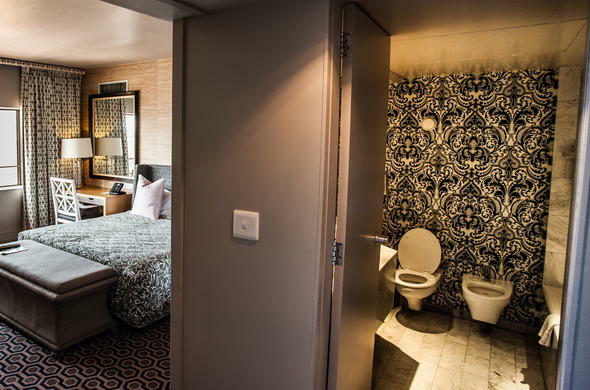 This Durban accommodation comprises rooms and suites all offering magnificent views and luxurious finishings and amenities. There are 206 rooms in total consisting of executive double rooms, executive twin rooms, ladies floor rooms, a ladies floor suite, club floor rooms, club floor suites, executive child rooms, executive suites and executive suite twins. Two rooms equipped for paraplegic guests are also available. All the rooms have selected DStv channels, direct dial telephones, air-conditioning and heating, and tea and coffee making facilities.